The increasing popularity of iCloud is contrasted with the inability of users to gain unrestrained access to iCloud backup contents. It is not surprising that these users struggle to view their data on iCloud backup. Of course, many want to view iCloud backup for free too. And that is where the problem is. It has been difficult for many users to do so. Are you one of them? 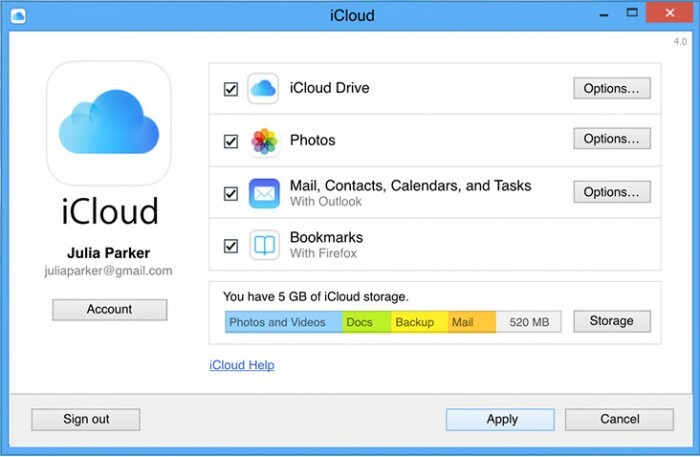 Read and discover three methods you can use to view iCloud backup for free. Four free methods to back up your iPhone notes for free and an additional method to back up iPhone with more flexibility will be discussed below. Go find what will help. The first way to view iCloud backup for free is through iCloud itself. 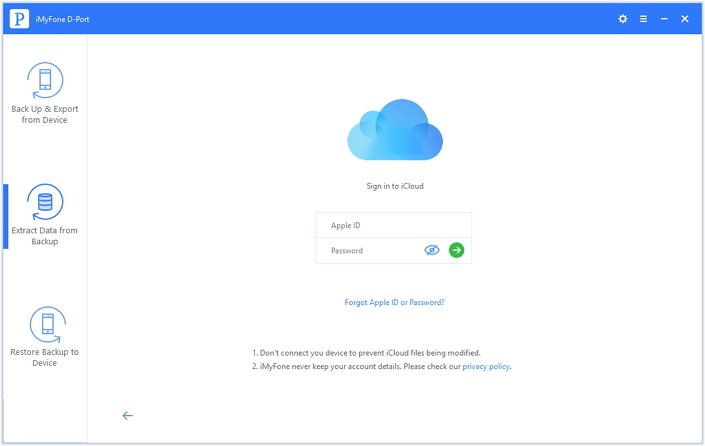 iCloud allows users to access their backup to a certain level. Follow the steps below to view your iCloud backup. Step 1. Use any web browser to open iCloud.com. Step 2. Once on the site, log in with your Apple ID information. Step 3. You will now get a list of files in iCloud, and you can click the apps separately to view its contents. The steps are simple to follow and you can quickly view data in iCloud through these steps. However, there is a big disadvantage that this method has. It only allows you to see just a few files. If your intention is to view all your files, that may not be possible via iCloud com. Nevertheless, you can use another method to view more files. Another method to use is iCloud control panel. What does this involved? Let us look at the steps to use iCloud Control Panel. Download and install iCloud to your PC and follow onscreen prompts. After installation, click on it to open it. Supply your Apple ID and log in. Once signed in, the app will show you the data you can view, including photo, calendar and bookmarks. Click Options to set up and download your data in iCloud to your computer. iMyFone D-Port iCloud backup viewer is an effective data exporter that allows unequaled flexibility when it comes to viewing iCloud backup on your computer. It can scan and allow you to preview several files in the iCloud backup without restoring it to any iOS device before it allows you to see them. D-Port also makes it possible to extract or view a particular file without restoring all iCloud backup. 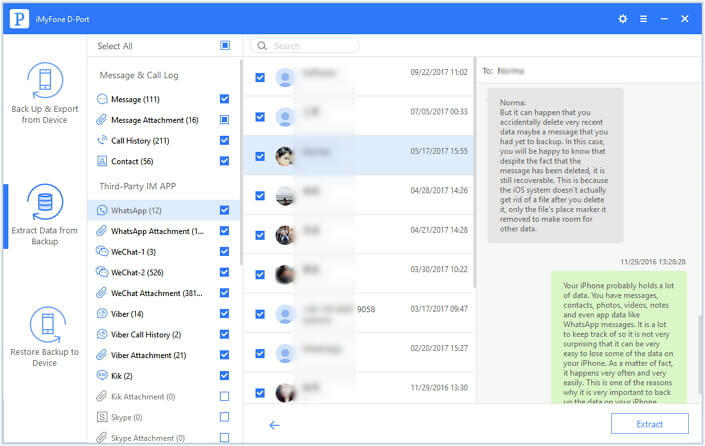 View Up to 20 Files: With D-Port, you can view more files than the above method. As a matter of fact, you can view up to 20 different files using D-Port alone. View Data in iTunes: In addition to viewing iCloud backup, you can also view iTunes backup. This means D-Port has multi-function ability that you can take advantage of to enhance your backup data experience. Act as iPhone Data Exporter: You can also use iMyFone D-Port as data exporter. From your iPhone or any other iOS devices, you can export data to your Mac/PC. Step 1. If you haven't download any iCloud backup from your iCloud backup, you should log in your iCloud account first to choose one iCloud backup. Step 2. From the list choose the iCloud backup you want to view and click Next to download it on your computer. After downloading, you should choose the types of data you want to view. Step 3. Then the program will scan data in the iCloud backup. After the scan is completed, you will see the data in this iCloud backup. You can view your data in iCloud backup for free now! 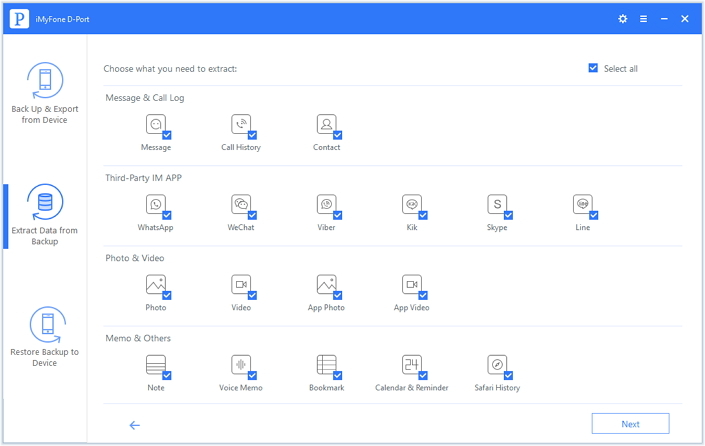 With the steps above, you can view all files supported by iMyFone D-Port including WhatsApp, WeChat, videos, voice memos and more. However, iMyFone D-port has two versions. One is free trial version and the second is the full version you have to buy. You can use the free trial version to view your files. If you want to export your iCloud data to PC/Mac, the free trial version cannot do this. You have to subscribe to the paid full version to be able to export your data, which you would agree is more important. As you can see, iMyFone D-Port iCloud backup viewer gives you a better option when it comes to viewing iCloud backup. Using any other methods may only give you partial view when compared with what D-Port can offer. Therefore, you would do well to give iMyFone D-Port a try.